A visual cliche, perhaps. The kids, home for the summer. How else to explain it? They are careless, carefree. The parents…obsessive compulsive neatniks. 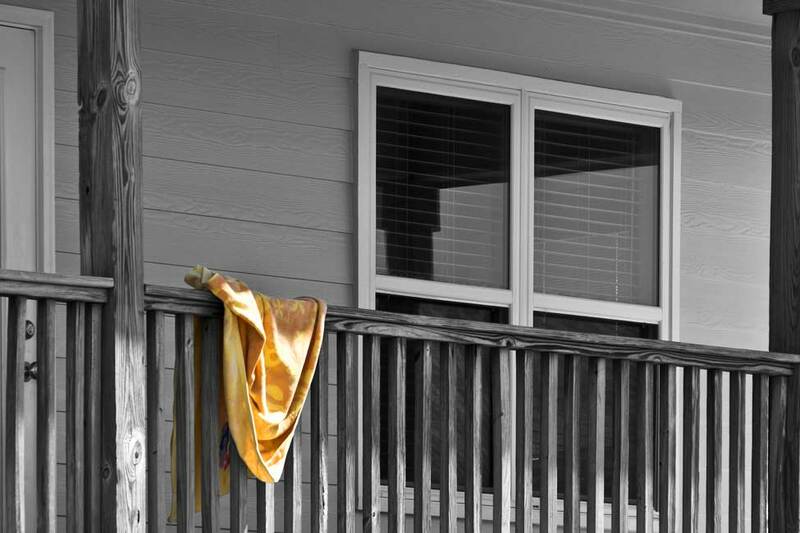 The towel nonchalantly draped over the railing, the Mom unaware. Soon, she will see. Neighborhood appearances restored to their normal order.